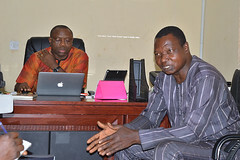 The Chief Job Creation Officer, Prof. Eric Eboh stated this while speaking to journalists during the monitoring exercise of the 2016 interviews for shortlisted candidates who applied into STEP and YAGEP in Asaba. Prof. Eboh said the interviews are holding simultaneously in 9 centres across the State and would continue the following day while candidates were expected to go to various designated locations according to their local government origin. He explained that the Okowa-led administration started fulfilling his electioneering promise after 3 months in office with the interest of tackling unemployment in the State. According to Prof. Eboh, the interview marked the second phase of YAGEP and STEP, adding that successful candidates after the selection would be subjected to orientation course and trainings in skills of their choice. 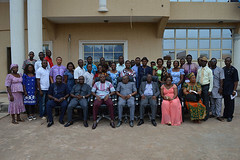 The State Commissioner for Economic Planning, Dr Kingsley Emu, said the training was paramount as it will give room for entrepreneurship geared towards sustainable job and wealth. Dr Emu explained that at the end of the training, starter packs would be given to successful trainees. He said the entrepreneurship programmes were planned for 3 and 6 months depending on the area of choice, adding that at the training is meant to prepare the trainees to become employers of labour and useful citizens. On his part, the Hon. Commissioner for Youth Development, Hon. Asupa Forteta, remarked that the participants are between the ages of 18- 35 years with a minimum qualification of Senior Secondary School Certificate (SSCE). He advised youths to be law abiding and to key into the SMART Agenda of the present administration by acquiring some necessary skills that could make them self-employed and make them employers of labour. In the same vein, the Chairman of Oshimili South Local Government Area, Barr. 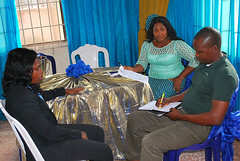 Chuks Obusom whose Council Secretariat was the venue of the interview for participants from Oshimili North, Oshimili South, Aniocha North and Aniocha South Local Government Areas, said the exercise was transparent and turnout was impressive and he charged the participants to utilise the opportunity to become gainfully employed. 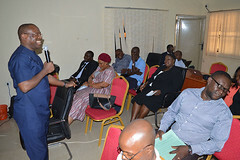 Reacting to the exercise, some of the participants scored the Office of the Chief Job Creation Officer high. Franklin Onianwa from Oshimili South and Christopher Odita from Oshimili North Local Government Areas said the interviewers were doing a great job and they appreciated the State Government for the initiative. 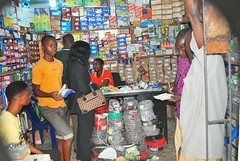 Ika North East, Ika South and Ukwuani Local Government Areas recorded huge successes in the first day of the interview. The massive crowd at the venue according to a member of the Steering Committee, Mr Theophilus Okpidi, was an indication of Deltan’s overwhelming acceptance of Senator Ifeanyi Okowa administration’s policy aimed at prosperity for all. He pointed out that the centre witnessed about 80 per cent attendance in the first day of the interview, noting that the people have embraced the job and wealth creation programme of the state. A cross section of the participants appreciated the Governor, Senator Ifeanyi Okowa, for the programme, urging him to sustain it so that more persons can be trained in order to reduce unemployment in the State. The second day of the exercise in Ndokwa West Local Government area, Kwale, witnessed a low turnout of candidates and the atmosphere was peaceful. Speaking with journalists, Prof. Patrick Mouboghare, remarked that the low turnout was an indication that the interviewers were close to completion of their assignment the on the first day of the exercise. 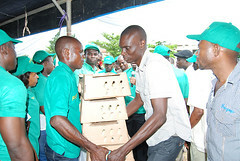 He said Senator Ifeanyi Okowa is desirous of keeping the youths engaged through training in skills and farming after which he would equip them with starter packs, pointing out that the panel had to confirm the status and intentions of the candidates, especially their interest in developing their entrepreneurial abilities. One of the interviewers, Mr Tony Abamnu, advised successful candidates to take maximum advantage of the opportunity provided by the present administration to equip themselves with knowledge and skills so as to make them responsible adults who would contribute to national development.